Providence People’s Congress (PPC) Lagos State Gubernatorial Candidate, Lara Adesanya (left); Alliance for New Nigeria (ANN) Vice Presidential Candidate, Khadijah Abdullahi-Iya; Executive Director, Enough is Enough Nigeria, Yemi Adamolekun; People’s Democratic Party (PDP) Lagos State Deputy Governor Candidate, Oluwayemisi Haleemat Busari; Social Democratic Party (SDP) Lagos State House of Assembly Candidate, Arinola Oloko; All Progressives Congress (APC), Federal House of Representatives Candidate, Tolulope Akande- Sadipe at the Women in Management, Business and Public Service (WIMBIZ) Women in Politics Town Hall Meeting held in Lagos. 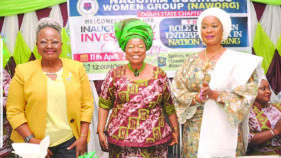 Women in Management Business and Public Service (WIMBIZ), as part of its efforts to advocate for increased female participation in politics, recently held the WIMBIZ Women in Politics (WIMPol) Town Hall Meeting themed: Run, Vote, Get Involved! 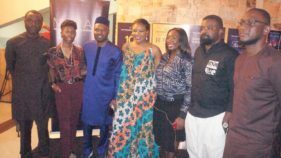 The event which held at Habour Point in Victoria Island, Lagos, was an avenue for women from diverse backgrounds and with different ideologies to interact with a cross- section of women vying for political office. Over 200 women were in attendance. Giving her welcome address during the event, Mrs. Olubunmi Aboderin-Talabi, the Chairperson of WIMBIZ Executive Council, noted that WIMBIZ being a catalyst that elevates the status and influence of women and their contribution to nation-building, is focused on driving female involvement in politics and public service as a means of ensuring positive growth and national development. 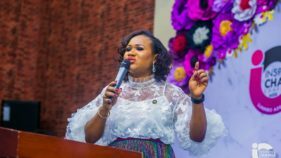 She also said, having identified the low representation of women in politics, the objective of the town hall meeting was to create awareness about politics and how women can get involved. 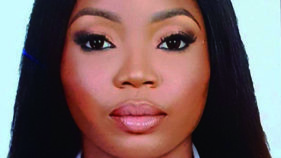 The Town Hall Meeting comprised of five panellists who are female political candidates in the forthcoming general elections and was moderated by Yemi Adamolekun, Executive Director, Enough is Enough Movement. 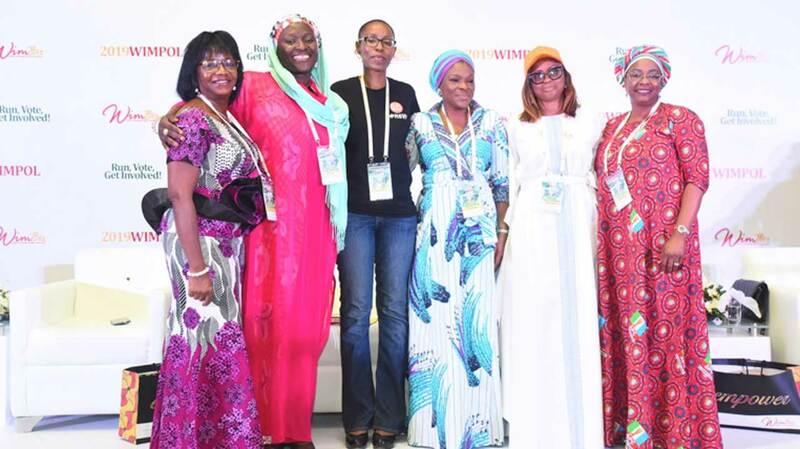 Panelists who spoke at the event were, Khadijah Abdullahi-Iya (ANN) Vice Presidential Candidate, Tolu Sadipe (APC) House of Reps candidate, Lara Adesanya (PPC) Gubernatorial Candidate, Oluwayemisi Busari (PDP) Deputy Governorship Candidate and Arinola Oloko- SDP Lagos House of Assembly Candidate. Each panellist had an allocated time to speak about why she is running, where she finds gaps and what she would achieve if elected. Mrs. Oluwayemisi Busari in her speech reiterated what the first speaker Khadija said concerning women taking up assignments when it comes their way. She stated that women should hold themselves up to a high-level standard of delivery. “As women, we have the moral justification to encourage ourselves. However, we must always be on top of our game in order to call up that moral justification”. She intends to impact Lagos state when elected by focusing on liveability, the economy and the future. Elaborating on these focus areas of her manifesto, she stated that past governments have been celebrated for doing the normal. However, her government will not come to do the normal, rather they would do the unexpected. Mrs. Arinola Oloko stated that “changing mindsets is where we need to start in this race”. After sharing her journey and manifesto she ended with this quote by Margaret Thatcher “If you want something said ask a man, if you want something done ask a woman”. Mrs. Sadipes’ drive to run was borne out of anger over the deplorable state of things in the country and her state, Oyo state. Tired of venting her anger on social media, she decided to run for office. At the end of the program, attendees left, inspired to not only Run, Vote, but Get Involved.